Modelling Climate Successfully by Time Travel? 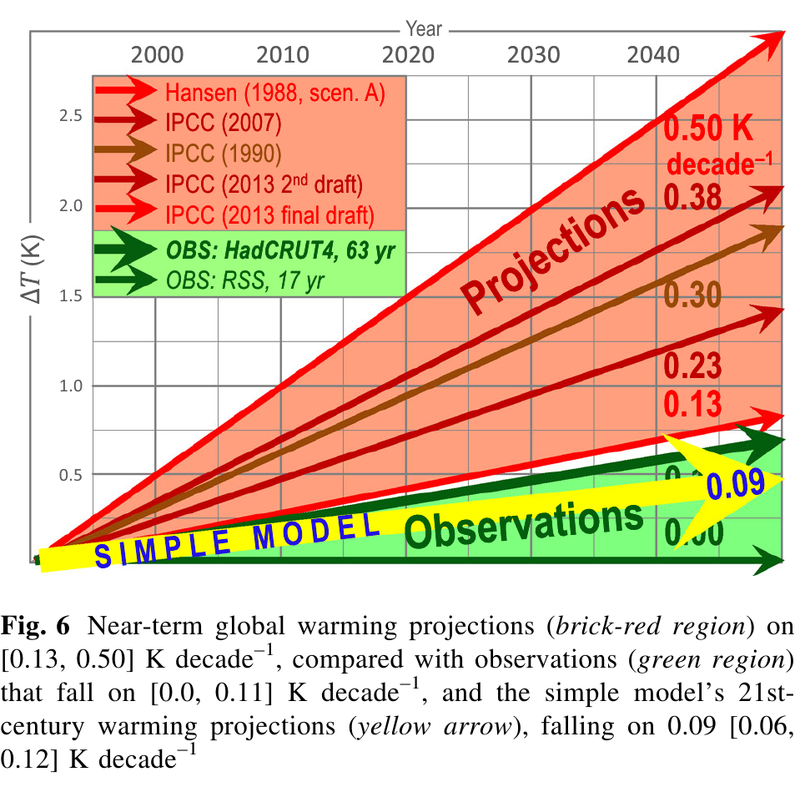 I saw on phys.org website new that Monckton et al have published a paper “Why models run hot: results from an irreducibly simple climate model” about climate modelling, and why previous models ‘run hot’. As seen in their figure 6, their model matches very well with the observations. One strange thing to me, is that they have observations of the temperature change until the year 2050, although currently the start of 2015. Does this mean that Monckton et al are able to get information from the future, maybe they have a time machine? It seems more likely that they made a serious mistake in the presentation of their results. Since this paper should have been subject to much scrutiny before publishing (given the controversy of the subject) it seems probable to me that the figure purposefully misleads the reader. 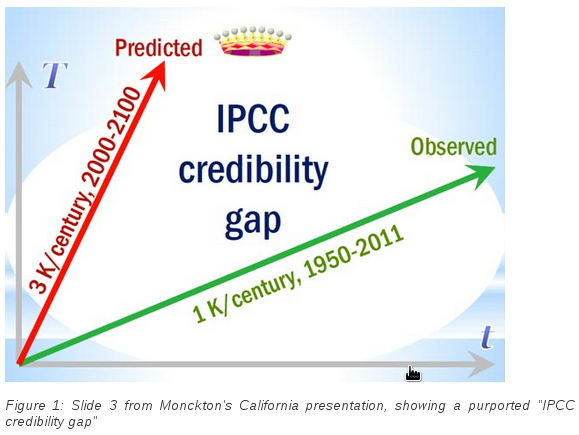 As can reported at skeptical science, in 2012, Christopher Monckton has been using this graph for some time. It seems that the error is to compare data from two different periods of time. The graph presented in the recent paper is less carefully presented than the version used in a 2012 presentation. If we look at the old graph we can understand that the data is not from the future, it’s actually the previous trend. 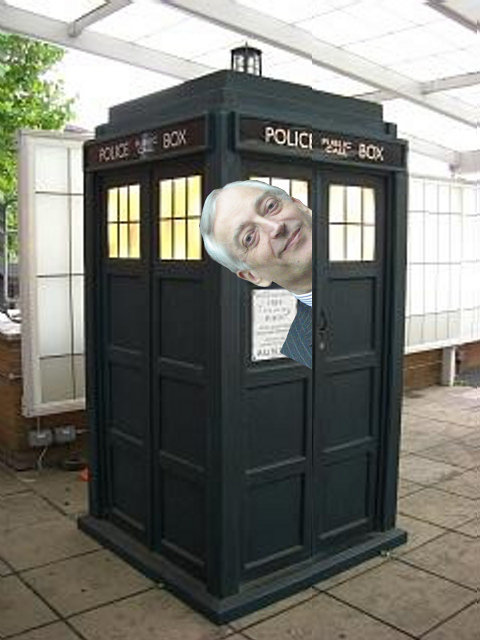 They also suggest a parallel with another UK time travelling Lord, could it be that Christopher Monckton is a Time Lord?